Certain items when installed in your custom built home work to provide the kind of finish that is only seen in high end residences. For instance your luxury home can benefit immensely from the use of a larger than life door surround. Door surrounds provide an impressive distinction character, they also help to create depth and an aura of luxury. Door surrounds work wonders especially on front door where the first impression for your visitors is created. This French Limestone Door Surround will easily transform any ordinary looking front door into an exquisitely designed, point of interest. 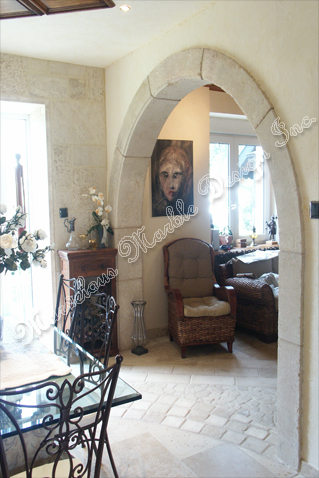 The French limestone door surround will dress your front door beautifully and perfectly. 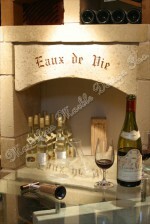 The product is sculptured from a durable, long lasting French limestone. 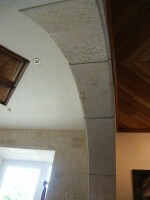 This limestone is one of the most superior natural stones in the world. It is superior in quality and versatility. 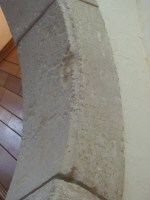 The work on the stone was entirely done by hand to provide more visible details. The overall design is simple and elegant. The whole product relies on the magnificence of the stone to transform the ordinary into extraordinary. The stone in a powerful shade of white offers the easiest way to transform any space. 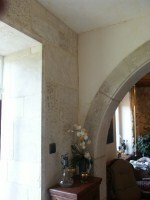 The light white tones of the rock will go down well with any paint in the room. 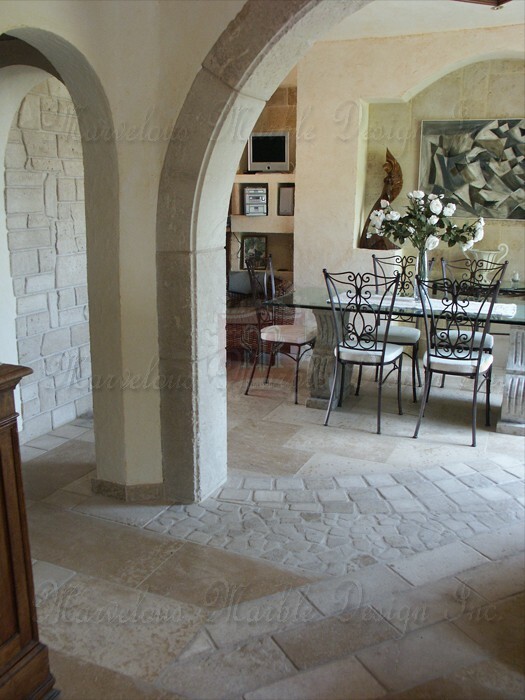 This white stone features a tone that is rich in character and it is anything but dull. The tones perfectly blend in with any mismatched items in the room to create a more enchanting atmosphere. The great white on the stone works best in natural light. The door surround is crafted in a manner that allows it to quickly and easily wrap around its place. At even intervals through the entire design, this French limestone door surround is adorned with simple deep cuts. The cuts easily create an optical illusion of largesse. This magnificent door surround will create the perfect backdrop in your custom built home in California, Toronto and Ontario. This French Limestone door surround offers a spectacular focal point. The door surround is normally in an overall size for each opening of (W X H) 84” X 84”. However, custom sizes can also be created so that the surround fits into your luxury home perfectly. 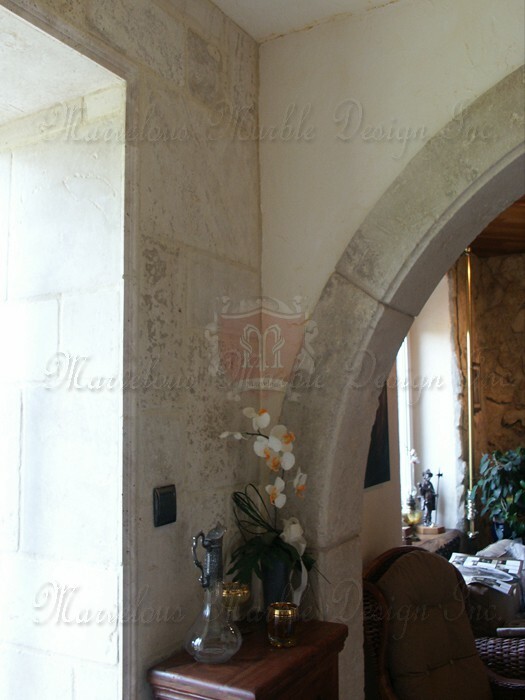 Alternative natural stones, different colors and textures for the door surround can be provided if you so wish. To learn more about this simple French limestone door surround, please call us at 1-888-272-0630. Overall Size for each opening: (W X H) 84"X84"